Adventures in a High Ability classroom! I Survived! & We got to meet Glenn Robinson! The year has begun and I can breath a little easier. Even though there are 34 students in my class for math the help of two aides makes it a bit easier. It also helps that my kiddos are GREAT! I couldn't have asked for a better bunch of third graders to work with. We had a special visitor join us last week as a Mystery Reader! 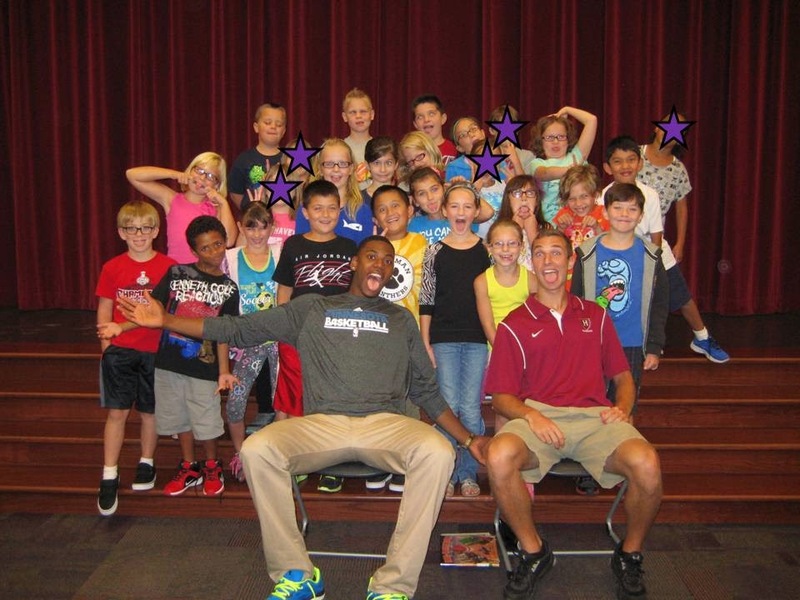 Glenn Robinson, NBA Timberwolves player, visited our school and read to our kiddos! How cool is that! It just so happens that one of my coworker's son is best friends with him and has been since they were little. I'd say we got pretty lucky! Do you have a Mystery Reader Program? My kids LOVE it when a guest comes in to read to them! Share with us in the comments how you incorporate special guests into your curriculum! Hello Friends! I am embarrassed that it has almost been a year since my last post! Boy can time get away from you when life gets busy! This school year my goal is to post at least once a week and keep up with blogging! Wish me luck! School starts in one week! Are you ready to go back? This is the time of year I get excited to meet my new students and start the year off right! As you may know I teach third grade high ability in Northwest Indiana. This will be my third year teaching high ability and my seventh year teaching overall! I will have 26 students in my class full time and an additional 8 students who will come in during math! Yep you read that right! I will have 34 students for math. I am not exactly sure how that is going to work out yet so stay tuned to see what tricks and tips I have up my sleeve to reach all 34 of those students! I hope you have a great school year and I look forward to staying connected this year! 1st Ever Currently! Yeah for September! I can't believe it's already September! And I haven't posted for almost a month! How did that happen? Now I'm a few weeks into school with my new group of 3rd graders and I'm totally lovin' it! Of course I'm feeling the back to school exhaustion but I took two naps this weekend so that should help! 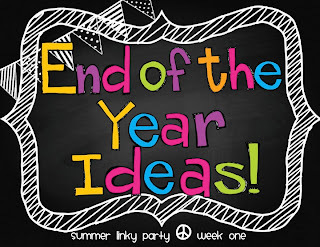 I'm linking up with Oh' Boy 4th Grade for her September Currently linky party! This is my first Currently linky! Who would have known it would be so much fun! Here goes nothin' ... ENJOY! Listening: I like to listen to music as I work on various tasks but I am not a music junkie and probably couldn't tell you what song it is or even who sings it. I just know that it keeps me motivated and focused! Loving: I have come to LOVE the mid to upper 70's! About a year ago I picked up running as a hobby and really enjoy putting in some major miles on those 70 degree days! And who doesn't love having an extra day to the weekend?! I think that all weekends should be 3 days long! One for cleaning, one for preparing for the next week, and a final day to RELAX! Thinking: It has almost been a month since my last post! Yikes! I have to admit that I am a bit of a procrastinator. I love reading all my favorite blogs and have many ideas for my own posts but somehow I push it off until I realize it's almost been a month. Does anyone have a schedule they follow that has helped them post more often? Wanting: Laundry is a never ending battle in my house ... and there are only two of us! We always have a pile in the basement! (good think we have a basement ... so it's out of the way!) My goal is to do one load a day until I get caught up ... then stay on top of it! Although, I'm thinking a maid might be a better solution! LOL! Needing: This stems from the laundry ... I often stress about everything I see around me that is not in the right place. Therefore I think a weekend away from home sounds very relaxing! Camping has been on our to do list all summer! Maybe this fall will be the best time! FIRST, I really enjoy spending quality time with my boyfriend. Once the school year starts this time seems to lessen although I don't want that to happen this year! Any tips or date night ideas? SECOND, getting and staying organized is one thing I LOVE as well. It seems to be a daunting task but when it is done I am at ease! THIRD, I LOVE to run and am training for the Dawn of the Dunes 1/2 Marathon! I have found running to be so relaxing and a great way to relieve stress! A special thanks to Fleet Feet Schererville for getting me HOOKED! Thank you for visiting! I hope you liked my very first Currently! I look forward to many more! Thank you Oh' Boy 4th Grade Oh' Boy 4th Grade for hosting! Classroom Reveal! Where has this summer gone! I have been B.U.S.Y. 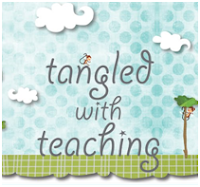 ... moving into my new(old) classroom, having my blog redesigned ... COMING SOON! (Thank you Entwine Design! ), and attending High Ability parent meetings! I have also been working hard on my year long curriculum planning! Boy is that a task! After organizing, I began working on my bulletin boards. I L.O.V.E. interactive bulletin boards to build with my students ... this allows my kiddos to take ownership and really understand what we have displayed in the room. (more pics to follow as they get filled up!) As you can see below, I have one board for each subject! Complete with objectives and a place for vocabulary! The objectives holder is simply a sheet protector that I sewed in half! G.E.N.I.U.S! I used red thread because that is what I had handy but you could use a clear thread so that it isn't as visible! As you can see I have one of these for each bulletin board! I am also working on a binder to house all of these lovely objective cards! Who does't LOVE organized objectives! Organized anything for that matter! 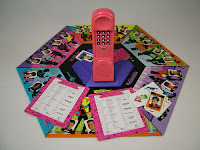 You can see the cards I use here at Jason's Online Classroom and they are just P.E.R.F.E.C.T! I love the graphics he used to help students comprehend the objective! I also have Megan Newman's Third Grade Essential Standards for Science and Social Studies! You can find those here! On the first day of school I will be adding pictures to my birthday board! I love personalizing this with their pictures! It helps students to meet a new friend who has a birthday that is close to theirs! Here you see my teacher station complete with write on wipe off calendar cards! Find those in my TpT store for FREE! Along with a few other items! Next is my homework turn in station! I love how easy it is to see who did not turn in their homework! Also, notice the different colored numbers ... I did this to help differentiation between my high ability students and my "gen. ed" students (I don't like referring to them like that but I have yet to think of a new term ... just for the record I don't call them HA and Gen Ed in class they are the Chameleons and the Otters!). I often give different assignments and this helps me to know who should have turned in what! Finally, below is the skeleton of my data wall! On the first day of school we will add our classroom rules, math facts graph, spelling/vocabulary graph, and possibly fluency charts too! The "Our Classroom News" pocket chart is used to hold our weekly newsletter and an updated AR points list! Then the final two pockets are for any special events coming up! One last picture! My cursive alphabet banner! Get it for FREE here! (Be sure to leave me some feedback!) I LOVE this new product! And I am in LOVE with my new color scheme! Much of it was inspired by free digital papers I picked up from SheryKDesigns and Ashley Hughes! Thank you Shery and Ashley! 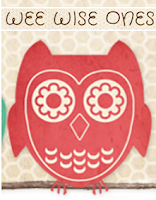 Soon you will see my new blog design I've been working on it with Entwine Design! (It's nice to have a graphic designer as a boyfriend! Thanks Jason! You ROCK!) If you are interested in redesigning your blog let me know and I will refer you! Now, off to get working on that ... oh yeah ... curriculum! School starts TOMORROW! Ahh! The WHAT?! Award! 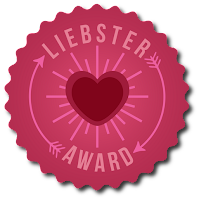 What is the Liebster Award?! ... I have no idea but hey if it's an award then I'll take it! Who doesn't LOVE awards?! enough for nominating me! Stacey is not only the author of a great blog (aren't her kiddos so adorable!) 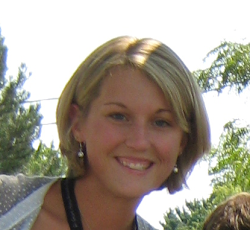 but she is a great friend, a fantastic colleague, and an AMAZING teacher! I had the pleasure of working with her as a grade level teammate a few years ago and I'd have to say she is a pretty AWESOME teacher! So, after checking out Stacey's blog and what this Liebster Award is all about, I am ready to get started! 6. Contact my nominees to let them know that I nominated them. So here it goes .... I did #1 above so be sure to check out Stacey's blog and her awesome Lemonade themed Behavior Management Tools! 1. Why did you choose to go into teaching? I wanted to be a teacher since I was in 1st grade. It is the only career I ever saw myself doing and it is what I set my mind to. I have always loved children and watching them grow. 2. What are your 3 favorite books to read to your class? *Just this past year I picked up the novel Wonder by R.J. Palacio. It is such a great story and really encourages empathy which is a trait third graders rarely have. Grab you box of tissues and enjoy! 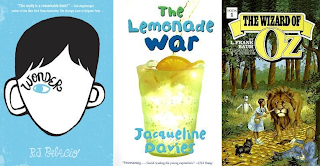 *Another favorite is The Lemonade War by Jacqueline Davies. I picked up this book one year during the Scholastic Book Fair because it had math problems intertwined within the novel. Little did I know that it has a fantastic story line as well! One the kids could really relate to, especially now that I am teaching an advanced class! Don't pass this one by 3rd & 4th grade teachers! *Finally, my all time favorite would have to be The Wonderful Wizard of Oz by L. Frank Baum. I have seen the movie a hundred times but this past school year we incorporated this novel as a part of the 3rd grade Advanced reading curriculum and we couldn't have chosen a better novel! It was AMAZING! This details that are within the novel and left out in to movie are shocking. They always say books are better than movies and this is so true with The Wonderful Wizard of Oz. Come back to hear more about the novel study I teach utilizing this book! 3. What do you do in your free time? In my free time I try to stay active. I am currently running with a run group through Fleet Feet. I love running and getting out there with a group makes it much more enjoyable! I also am diving into the blogging world and trying to keep my house clean! LOL! That is a task in itself! 4. Who is your biggest inspiration? Why? This is a tough one for me. I'm not sure if she is my biggest inspiration but Kristina Smekens! is amazing and I am in love with her 6 traits of writing. I have been utilizing her writer's workshop in my room for the past 4 years now and the products I get out of my students are UNBELIEVABLE! I have been to many of Kristina's workshops and she is so down to earth. I LOVE her ambition and drive to educate others. I am even a little famous on her site! She asked me for a pic of my yearlong bulletin board! 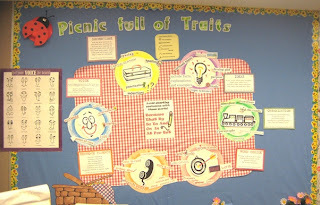 Over the year, I hope to share with you how I make the 6 traits work within my high ability classroom! 5. If you were stuck on a desert island, what is the one thing you would have to have? Why? Humm ... not including the essential things to survive ... I would have to say, my boyfriend, Jason. (I know, sappy right?!) He is everything to me but more importantly he would have to ability to build us some sort of raft or figure out a way to get us rescued. And if worse came to worse he isn't skin and bones so I wouldn't starve. JK! LOL! 6. What is your biggest pet peeve in the classroom? LYING ... By the end of third grade the drama filled sweet girls are on my last nerve and when something happens and they don't want to get into trouble the lies start spilling out. I always tell my students that "I will trust you until you give me a reason not to" and when they first lie to me I don't let them live that lie down when other things come up. They have to win back my trust by being truthful in future situations. A little bit of tough love goes a long way with third grade girls. After all I am there to teach them, not be their best friend. 7. Why did you join the bloggy world? 8. What are you most proud of? This is another difficult one. Back when I was in college I was a part of the Indiana Student Education Foundation and served as chair of the Outreach to Teach project. This is an annual project put together by ISEA to help public schools with minor repairs and updates. This project was very rewarding! We helped update and repair LaCrosse School which houses grades K-6 and 9-12. LaCrosse, Indiana is a very small town with a very small budget and with the help of many volunteers and ISEA we were able to spruce up the place! Like them on Facebook to find out where their next project will be! 9. Where would you go on your dream vacation? 10. 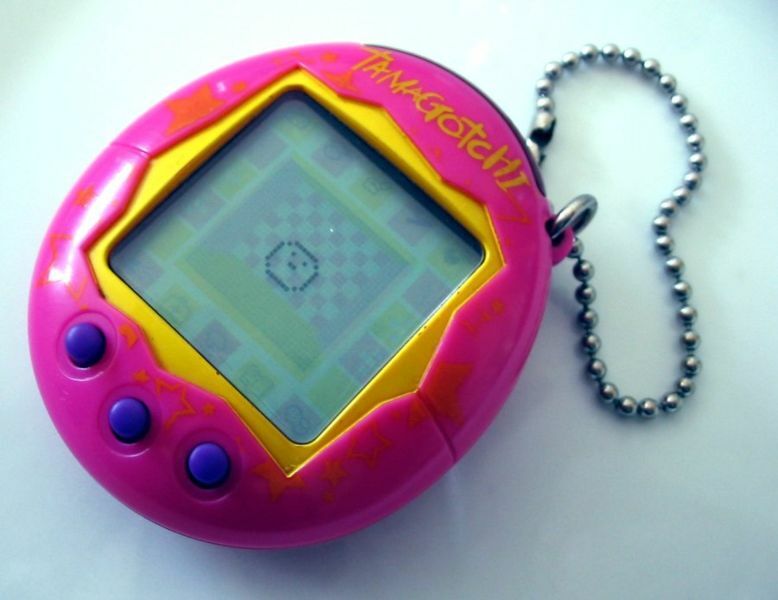 What toy do you miss from your childhood? 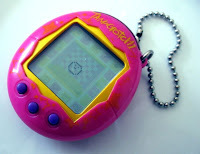 That would have to be Tamagachi and Dream Phone! I LOVED taking care of that little critter and calling those boys on Dream Phone couldn't be more fun!! 11. What is your favorite song? #3 11 Random Facts about Me! 2. I did not fly on a plane until just last year, December 2012! 3. As a matter of fact, I had never even been to an airport until then! 4. I have been with my boyfriend for 10 years now and I wouldn't have it any other way! 5. I have two dogs that love to pee on visitors feet .... bring an extra pair of sock please! 6. I still feel nervous when I buy alcohol ... and I never bought it when I was underage! 10. I had lice as a kid and am terrified of getting it as an adult! Yuck! 11. I recently finished my first half marathon, 13.1 miles, in only 2 hours and 25 minutes! #4 11 Questions for my Nominees! 2. What are 3 of your favorite strategies you use in your classroom? 3. What are you most interested in learning about High Ability education? 4. They say it is a good idea to make positive phone calls home to parents. What are some things you like to call home about? 5. I am going to have my very 1st student teacher in the fall. What are 3 tips I should give her about teaching? Or what are 3 tips for me about having a student teacher? 6. What blogs to you follow religiously? 7. What is the one classroom item you could not teach without? 8. What is your favorite non-school related book? 9. If you could live anywhere, where would you live? Why? 10. What is your go to recipe when answering the dreaded question "What's for dinner?" 11. How do you spend your summer breaks? #5 Nominate 5-11 blogs with fewer than 200 followers. #6 Contact my nominees to let them know that I nominated them. The nominees have been contacted and I am excited to hear their answers to my questions! 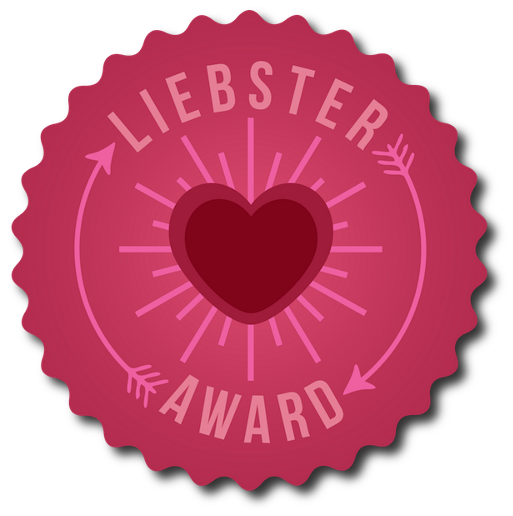 Thank you in advance for participating in the Liebster Award nomination. I know it is a bit of work but who doesn't LOVE blog surfing! Each of you have inspired me in some way just by visiting your blog! Keep up the AMAZING work! So, as you know I am new to blogging and I wanted to set up my button for everyone to grab! I thought I had done it correctly but found that there was no code for others to grab. So ... I did some searching. Just click this button to begin creating your unique button code! I was so excited to figure this out and hope that others can benefit from this post! If you have any questions please let me know. My awesome boyfriend, Jason, was able to help me adjust the code a bit to make it left aligned, too! A special shout out to the GrabMyButton peeps for their AWESOME user friendly code generator! End of the Year Camp Out! At the end of the school year we have a camp out in my classroom! I put the kids into groups of 4 or 5 and they come to school wearing their P.J.s and have their sleeping bags in tow! 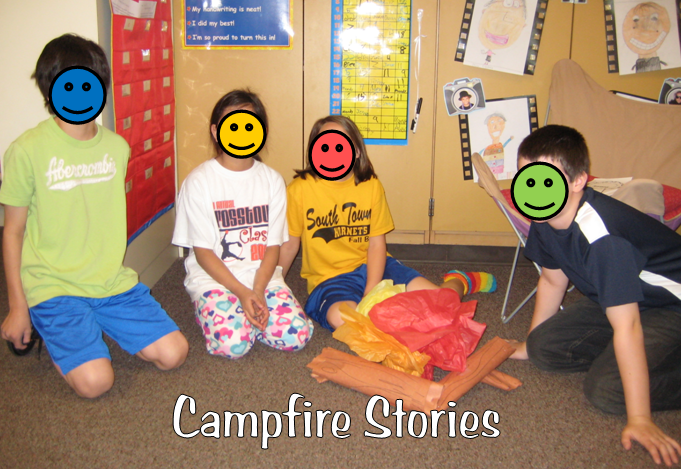 Later in the day, we tell stories by the campfire and talk about the things we learned throughout the year and what we will miss most! How could I forget, campfire time is complete with S'MORES and a heartfelt story, Oh the Places You Will Go or another favorite Thank you, Mr. Faulkner. We end the day with camp awards, a summer treat from me, and a little summer homework packet to keep our noggins sharp over the summer months. Hope you have enjoyed a peak into my end of the year activities! Thank you, Mel D, for this fantastic linky party! It is my first of many! High Ability education has a long history and is quickly becoming a buzz word across the state of Indiana. This is an educational blog to share ideas and research related to High Ability education. Welcome and enjoy!